sailboat. : Face Of The Day with added Glitter & Jewellery. I'd like to start off by saying a huge thank you to Fee from Make Up Savvy because I think that's how a lot of my new readers have stumbled across my blog! Fee said some wonderful things about mine and several other wonderful bloggers which was super lovely of her and I appreciate it a lot. It came at a time where I was feeling negative about the posts I was writing and a bit upset about receiving less comments than I used to get. Her lovely words kind of reassured me that I'm doing okay and I honestly do appreciate every reader I have and every single comment I receive, thank you so much! I should stop being such a negative Nelly and use this as an opportunity to write more interesting posts! Base: Witch liquid concealer in the shade light, MAC Face & Body Foundation in the shade C1, Collection 2000 Lasting Perfection concealer in the shade fair & Witch Anti-Blemish Pressed Powder. Cheeks: Illamasqua Promise Cream Blush & Bourjois Amber D'Or powder blush. Today while having a little rummage through my jewellery box I found the first necklace I ever made which was probably about a year ago! I was going through a super duper Alice in Wonderland phase and to be honest, I've still not grown out of that phase. 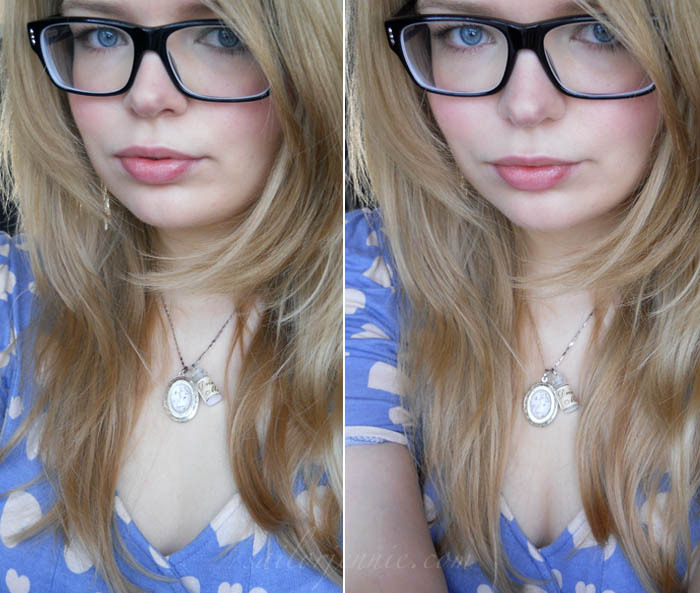 I adore cutesy jewellery - Alice in Wonderland, cute animal charms and lots of bows & hearts. I'm still not 100% sure on the direction I want to take my jewellery shop in, I think it's probably going to end up being a mish mash of different styles because that's me - indecisive and a lover of lots of different things! Maybe the cutesy jewellery ship has sailed already & I missed the boat! I'm not sure. All I know is I'm not the biggest fan of the tribal inspired pieces that are on the high street at the moment & I definitely don't want to make things that I'm not in love with myself. I think a little bit of market research is in order for me tonight! The sky last night was a stunning midnight blue scattered with lots & lots of tiny stars & I was inspired to create something similar on my nails! I'm no nail artist at all, I can barely paint my nails one single colour without it looking like a three year old has done it with a spoon so I'm forever in awe of those who can create beautiful nail designs. Charlene from Dainty Dresses is one of those talented ladies who can paint nails like a pro! She's just opened her own online shop called Dainty Nails that I think everyone should go and have a little nosey at! I decided to just smother my nails in glitter since I have no talent what so ever & I LOVE it! I used Barry M Blue Glitter & then layered a bit of Eyes Lips Face Golden Goddess over the top! No talent or skill required & it satisfies my need for lots of glitter in my life - perfect! What's your favourite type of jewellery to wear. Do you like cute items, more grown up pieces or a mixture of both? Also, what's your absolute favourite nail polish colour? I'm still into cute vintagey style pendants and I think I always will be, I've completly overwarn my owls, mini purses, and anchor necklaces! Your negative nelly alliteration made me chuckle - permission to use the phrase in rl? i have that gold elf polish. i love it so much especially if you layer it it looks gorgeous! I'm a fan of cute jewellery as well. Hearts, Bows, I have it all :) Your necklace and nails are adorable! I'm interested in trying witch cosmetics, would you recommend them? Also, did you get the liquid concealer from boots, as I can't see it on the website. How much did you pay for it? I love classic and cutsey jewellery. I have both, I would especially love something Alice and Wonderland themed! I tend to wear my classic (Tiffany) jewellery just on special occasions as I am terrified of losing it while drunk! Gorgeous and I love your nails! Also a fan of cute/vintage jewellery. i love your blog - i'm glad that you have become inspired again! 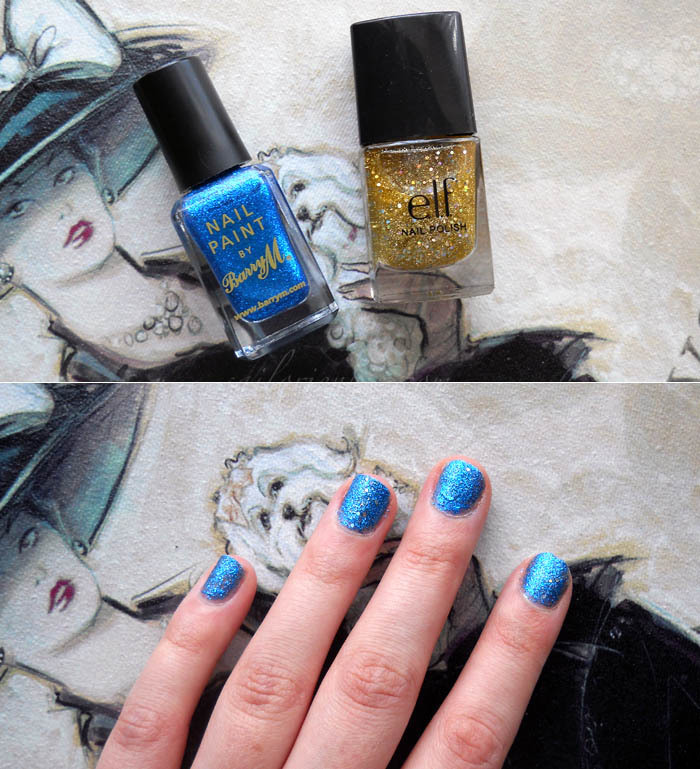 i love your clean, fresh makeup look in this post... & of course i love the glittery nails too! 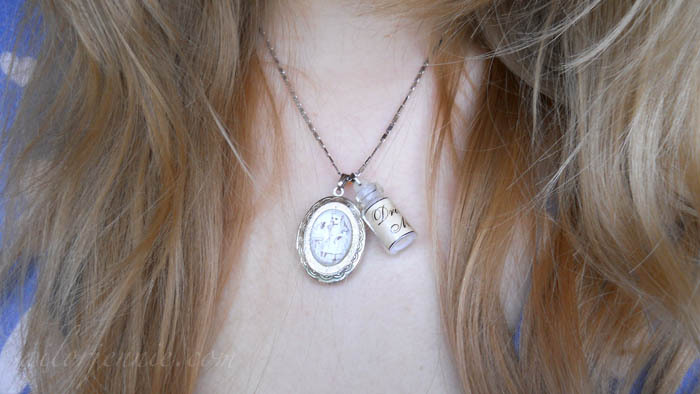 Visit The Other Side Of Cool - I'm having a cute jewellery giveaway! @Dara - would really recommend them! I won the concealer in a giveaway so I'm not sure how much it is! Sorry! My favee nail polish at the moment has to be China Glaze Re-fresh mint. I've had it on for a solid week now and that never happens. I also love China glaze Agent lavender. hello lovely! i know you've probably said before - but where did you get your glasses from? Beautiful necklace!!! And love your nails.